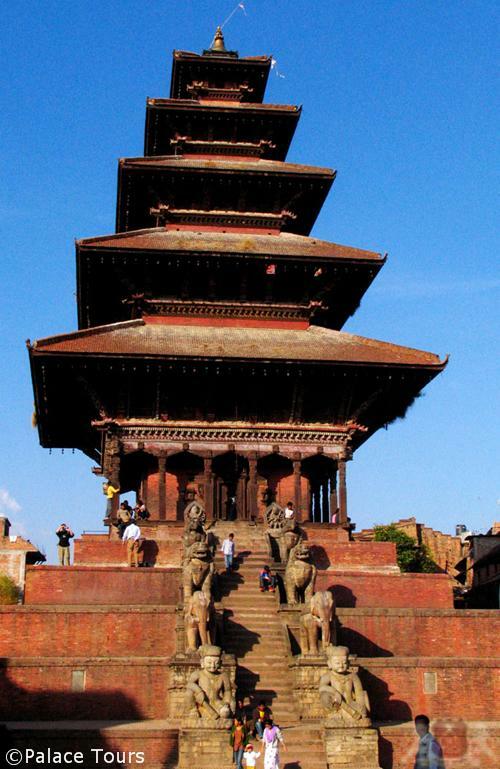 <?xml:namespace prefix = st1 ns = "urn:schemas-microsoft-com:office:smarttags" />Nepal has seen many rulers and ruling dynasties, which lead to a colorful, mixed history. From the moment you arrive at Kathmandu, discover its enrichment with more temples than homes, and its festivals that seemingly exceed the number of the days in a year. 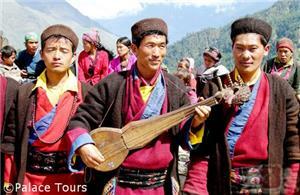 Explore the whole valley with its seven World Heritage Sites. When time comes to travel to Chitwan you will understand why Nepal is considered the biggest natural museum in the world. The Chitwan National Park has Sal forests which cover 70% of the area and there are about 600 species of plants. The Park is home to the only significant number of one-horned rhinos and other endangered species like the Bengal tiger, the gangetic dolphins and the gharial crocodile. There are altogether over 43 species of large mammals, 526 species of birds, 150 different types of butterflies, 126 species of fish and 49 species of reptiles in this wonderful Park. Upon arrival at Kathmandu International Airport, you are received and welcomed by one of our friendly representatives who will offer you a "Khada," a religious silk scarf. Transfer to your Kathmandu hotel where you can rest prior to your exciting week that lies ahead! 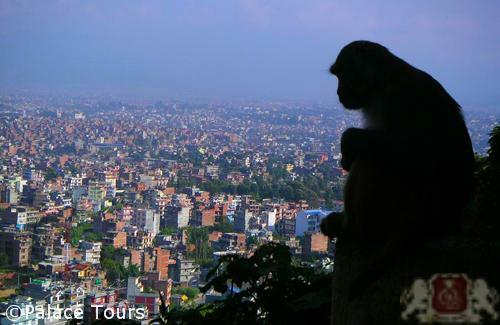 Following breakfast at the hotel, depart for a full-day sightseeing tour of Kathmandu, the “City of <?xml:namespace prefix = st1 ns = "urn:schemas-microsoft-com:office:smarttags" />Glory”. Visit Durbar (palace) Square, the epicenter of religious and cultural life, an area filled with old temples and historical significance. 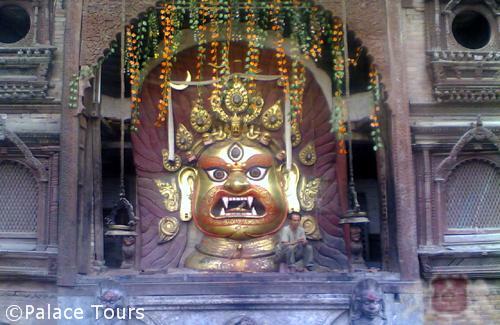 Some of the sights include Kal Bhairav, Hanuman Dhoka, Taleju Temple, Kasthamandap and Kumari Ghar; home to the Living Goddess. 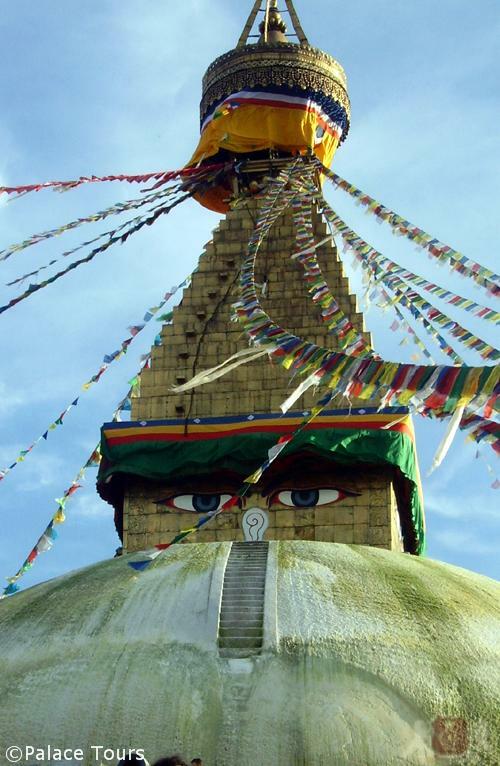 Afterwards visit Swoyambhunath Stupa, said to be one of the oldest Buddhist stupas in the world, which is majestically set high on a hill overlooking Kathmandu Valley. 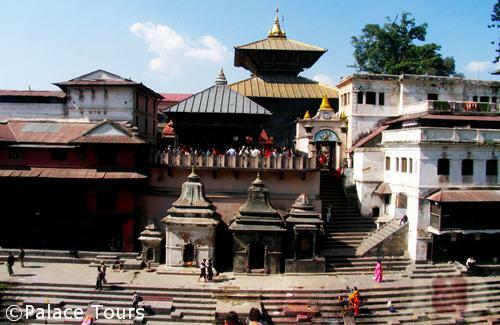 Later, drive to Nagarkot, one of the most popular tourist hill-stations in Kathmandu Valley, situated 18km east of Bhaktapur at an altitude of 2175 m above sea level. It is also famous for its spectacular sunrise and sunset views. 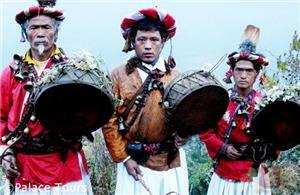 On a clear day, one can enjoy the panoramic views of snow capped mountains of eastern Nepal including Mt. Everest. Enjoy your overnight stay at your resort in Nagarkot. 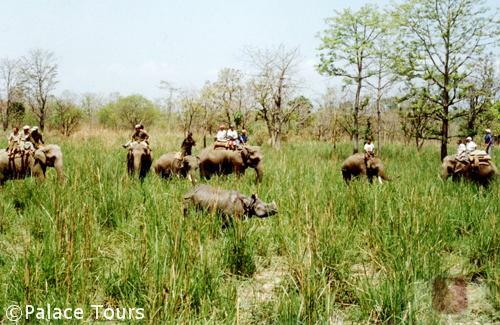 Explore the flora and fauna of Chitwan National Park as you enjoy a safari through the park, go on an elephant safari, or take a nature walk. Breakfast, lunch, dinner, and overnight at the lodge in Chitwan are included. 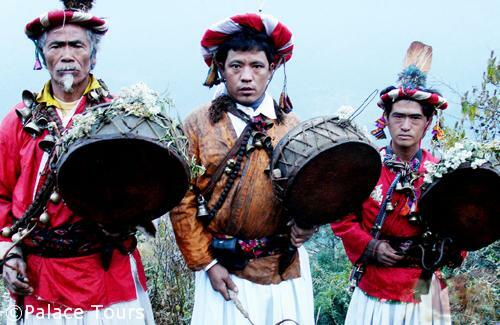 After breakfast, embark on a scenic five-hour drive along the sacred Trisuli River as you travel back to Kathmandu. You are free to explore Kathmandu for the remainder of the afternoon at your leisure. 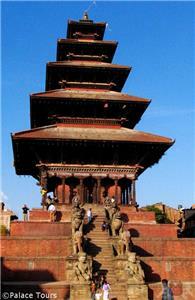 This evening, enjoy dinner accompanied by a cultural program in a Nepali restaurant. After checking out of your hotel, our representative transfers you to the airport for your departure flight back home or to your next exciting destination. The services in both classes are the same, however the hotels used are different. We use hotels listed in our accommodation section or ones similar to them. Please see the accommodation section to see the list of hotels used.